A report that has gone viral says the Imo State Police Command paraded two members of a child trafficking syndicate on Thursday, who allegedly sold three different babies including their own child, for N600,000. 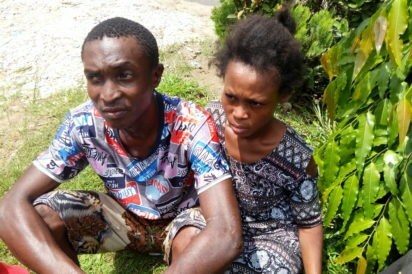 The couple, Ugochukwu Nwachukwu, 28 and Mrs Glory Ugochukwu were arrested by operatives of Anti–Kidnapping Unit of the command on July 20, at Umuokai Owerre-Nta Isiala Ngwa South L.G.A of Abia State. The suspects conspired and lured one Jovita Aloka of Irette Owerri West L.G.A of Imo State to Naze Owerri North L.G.A where they confused her and took her two children, Adaugo Oliver, 3 years, 6 months and Daniel Oliver, 6 months and sold them to unknown persons. The suspects confessed to the crime and other child trafficking within Imo State and its environs. Operatives are trailing other fleeing members of the syndicate. “I discussed with my wife before selling the child. 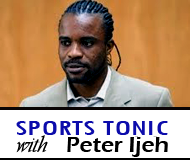 I sold the child for N400,000. My reason is that I wanted to join the Army and I did not have money to process it. The bill they gave to me was high and I went to the point of selling my properties, after that I could not make it.